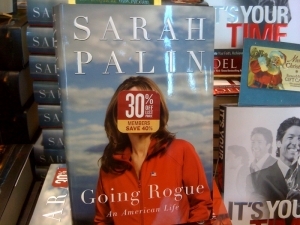 « Sarah Palin’s Alaska? What a joke. What a bad gift. Next time, do flowers. Absolutely love your solution and your conclusion! Well done, well done indeed! Great solution, Erin. I share your views – I can’t bring myself to destroy a book either.